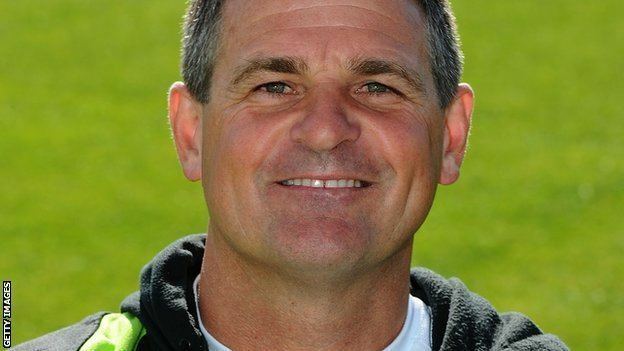 Steve Rhodes (born Steven John Rhodes, 17 June 1964, Bradford, Yorkshire, England) is a former English cricketer. He was best known as a wicket-keeper, but was also a useful number six or seven batsman, making twelve first-class centuries. Emerging initially out of the Birstall club, Rhodes county cricket career began with Yorkshire in 1981. The incumbent was the international wicket-keeper David Bairstow and after limited chances, in 1985 he moved to Worcestershire, staying with that county for the remaining two decades of his playing career. He was selected for the England tour to India in 1988/89, but when this was cancelled for political reasons he lost his chance, and it was to be 1994 before he made his Test match debut. His selection was primarily down to the new chairman of selectors, Raymond Illingworth, who announced at his (Illingworths) appointment that he wanted balanced sides i.e. an all-rounder at number 6 with a wicket-keeper at number 7. As such, Illingworth was saying that his chosen wicket-keeper had to contribute with bat and gloves. 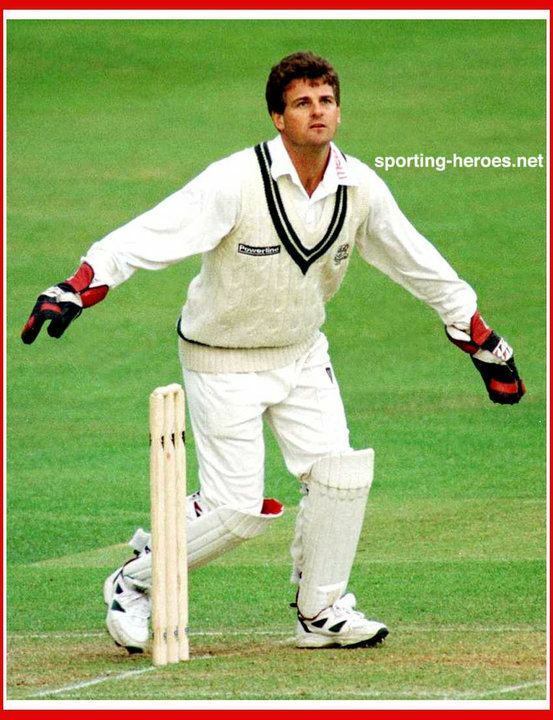 While Rhodes had a golden summer with the gloves in 1994, he did not make enough runs - especially against the powerful South African bowling attack in the second half of the season. Chosen to tour Australia in 1994-95, he had a poor tour with gloves and especially with the bat - frequently dismissed by Australian spearhead Craig McDermott - often lbw. Having waited so long to make his Test debut (he had played One Day Internationals in 1989), he was dropped in favour of Alec Stewart in 1995, and never played for England again. Nevertheless, Rhodes was named as one of the Wisden Cricketers of the Year in 1994.